Main Street School is committed to ensuring that all students are SAFE & RESPECTED. It is the student’s role to “Be NICE; Work HARD.” This is to create the ideal learning environment & empower students to take full advantage of the learning experiences/opportunities. The opportunity for improvement had been identified. What action can we take & how will we know it is working? I give credit to the PBIS TIER I TEAM for suggesting that we utilize student-leaders & give them a role in positively influencing their school. It is their school & we want them recognize & capitalize on opportunities. The TEAM supported unanimously. Third Grade Student-Leaders were selected (two students per classroom) based on leadership qualities such as responsibility & communication skills. 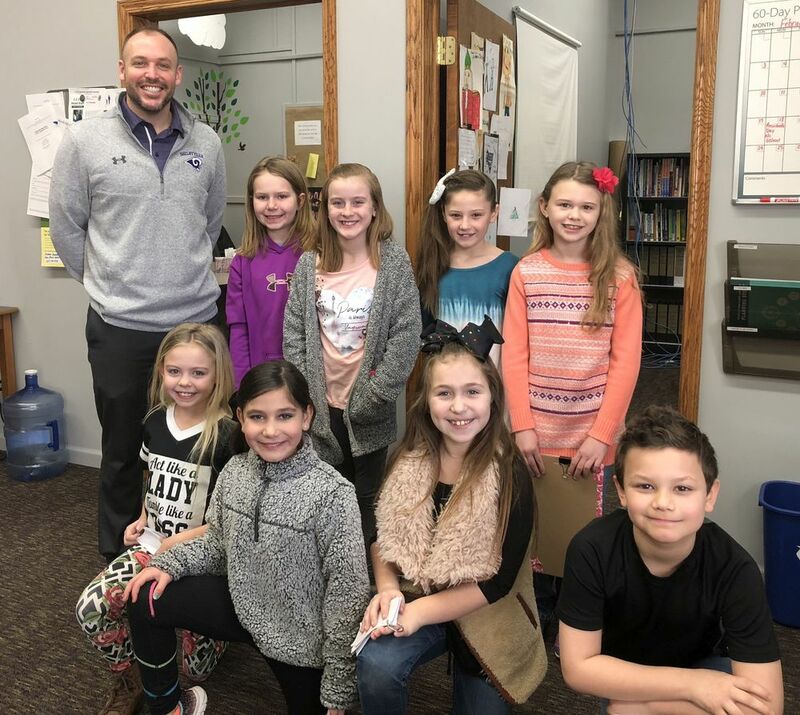 The Student-Leaders identified were: Mrs. Brunk – Hannah Harper & Madilyn Ward, Mrs. Harkins – Kinley Hardy & Brooklyn Pittman, Mrs. Kelly – Kyndall Bennett & Kaelynn Voyles & Mrs. Perry – Makenna Poe & Tayten Rentfro. I am proud of these students and they did a great job addressing the Main Street Student Body on Friday, February 8th. They did this in grade-level rotations: 1st grade, 2nd grade & 3rd grade. They engaged their peers in discussion and empowered their peers to be more than just a client or consumer; they can be a part of something special at Main Street School. The message is that this is our school; it is your school. It can be as great as we want it to be but we have to do it together. Be NICE; Work HARD.